The opening lines of our National Anthem…”Oh say can you see….” brings on goose bumps whenever I hear these words at a public event. If the event includes jets flying overhead in formation, then my insides are raging with emotions. Most of this is unnoticeable to anyone around me and when the jets disappear, the song ends, and the cheering subsides, I have to quickly regain my composure. This has been my personal form of “private patriotism”. As a Viet Nam Era Veteran, I have treated my military service just as many others who served during that time. There has not been much to talk about. My service was in the states including Alaska as was the case for those inductees entering the military in the early 1970s. Nearly four years later, being honorably discharged, I took off the uniform and returned to civilian life. I left most of my military memories and military friends on that discharge date at the gate. Many other veterans during this era did the same. I felt my patriotism for my country had been satisfied and proven and this was the start of my “private patriotism”. 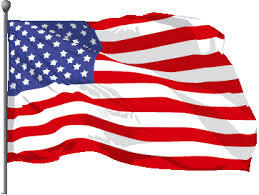 In a couple of weeks, we will observe Veteran’s Day and I plan to have a few special features to share. First there is more to share about my “private patriotism” and how a second grader made me come face to face with this attitude about my service. I will also share how a couple of piano players in a bar did something to my “private patriotism” that never happened in 35 years. Finally, as part of the special Veteran’s Day Post, I will introduce you to a dear friend who is a WWII veteran. At 99 years old, my friend together with other veterans, recently visited the WWII War Memorial in Washington, DC. So, do not miss this special tribute to Veteran’s Day. Okay, some of you more critical thinkers may be wondering “How does all this relate to the Learning Center and “Friends of Copey”? The answer is very simple. It is connected to my lifelong interest in education and the multitude of experiences I have had in my life. When my military draft notice arrived calling me to serve my country, I was a certified elementary school teacher employed in the Maryland school system as a 5th grade teacher. Teaching was my chosen career then and I was being ordered to leave this career and fulfill my military obligation. I did as ordered but my interest in education never changed even though I have had other occupations. This interest helps drive my passion for the students in the Learning Center. So you could say that before I was a veteran, I was first a school teacher and very proud to be both! I am really looking forward to the next several weeks of Posting and hope you will stay connected as I work on completely ridding myself of “private patriotism”. Okay….. I confess! I admit that I am totally into being a Blogger. Some people are very passionate doing their Facebook, being Twitters, or doing some other form of social media. For me it is having a Blog and issuing Posts. My next confession is that I would not be a Blogger if “Friends of Copey” did not exist. Blogging is not that easy to do and it is a real commitment of time and energy. I confess that I am solidly passionate about our work as sincere supporters of the Learning Center. And then I confess that I am overpaid…well you may be overpaid as well. We are all “Friends of Copey” having a collective heart of a servant. We see our rewards come in the form of smiles and sincere expressions of thanks and gratitude from students, teachers, and a community. Finally, I must confess that I have met some unbelievable people who likely would not have crossed my path if not for “Friends of Copey” and I am deeply appreciative for those of you who were friends and relatives before you joined “Friends of Copey”. Paydays are so precious! There is satisfaction knowing we are like pioneers doing things in a unique fashion and having a possible life changing impact on young people who can use the help. There is satisfaction also knowing we are having success. “Do unto others as you would have them do unto you…..! Confession is really good for the soul. In a few weeks, I will be issuing a Post to summarize just how the year has gone. I want to remind you there is a section of my Blog that states the various areas we plan to work on to provide support to the Learning Center. It is located under Item 10 under FAQ. Most of our actions have been initiated and I plan to report on each. There are two key goals that have been slow to materialize and additional time and work is needed before we declare “Mission Accomplished”. We are working on building important partnership as stated below. 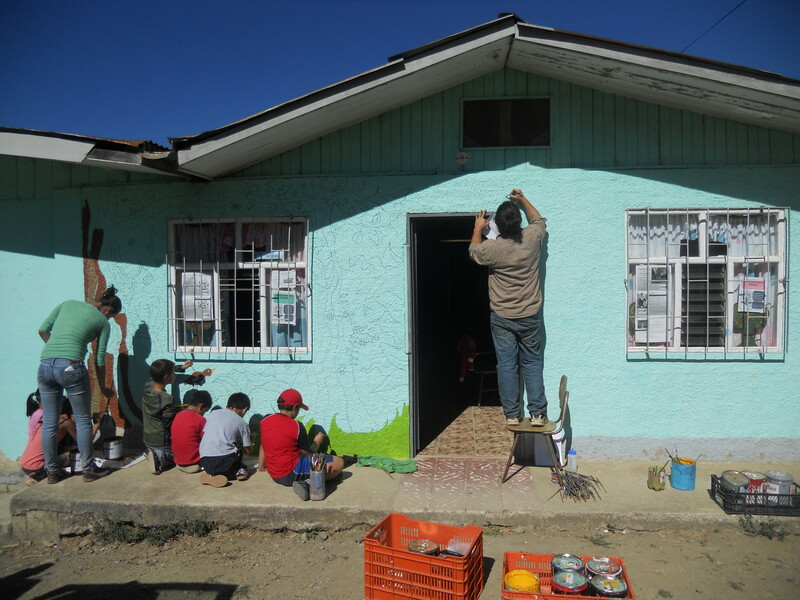 Developing a coalition between a San Jose, Costa Rican Kiwanis Club and a local Kiwanis Club to establish an international Kiwanis effort to address the life conditions of children. Establishing a partnership with a small Liberal Arts college to open the door of opportunity for college students to go to The Learning Center to fulfill their international teaching requirements, provide a site for missionary service, and encourage The Learning Center students to attend college. Both of these goals were formulated in early 2013 and stated in the first publication of this Blog…”Friends of Copey” in December 2013. Although a great deal has been done and much has been accomplished, we still remain committed to developing a coalition and partnership with Kiwanis because we have mutual interests when it comes to the young people of our community and our world. I am equally convinced one or more Liberal Arts colleges and the Learning Center can be great partners. There will be much more to report on both of these initiatives over the next couple months. I believe this to be a great time of the year in Copey. We are entering the final months of school and then summer time arrives for the Learning Center students.These students are having a fantastic year! Student enrollment has been high this year and I think the retention rate has remained high also…especially among the Anne G. Broady Scholarship Fund recipients. The students are making great progress and there has been some very good highlights including Spelling Bee success and the surprise invitation to participate in The Nutcracker ballet. The Pen Pal Program is getting exceptionally high marks. We have been treated with photos of the students throughout the year and it is a joy to see their smiles. It is also gratifying to know we contribute in some positive ways to the life they have today and the life hopefully they will have in the future. Here are the students in a Team Building Day exercise. Staff is working on helping the students improve their conscientiousness about how to treat their classmates and learning anti-bullying strategies. The day was filled with team building exercises like the ones pictured. They had to get the hoola hoop across the finish line without touching it with their hands. This is our first year being closely involved with the Learning Center. As the author of this Blog, I receive weekly updates on the Learning Center and pass the info on to you in my Posts. Sharing the news with you is not only a commitment I feel but an honor since I know many of you trust me to represent you as a “Friend of Copey” in working with the Learning Center. I hope each of us as “Friends of Copey” can appreciate what an amazing experiment this is and what a very special relationship we enjoy with the Copey community. The Board of Directors of the Learning Center have never met “Friends of Copey”. They hear about us from their staff, maybe read my Posts, and for sure watch very carefully our behavior. They are cautious and are expected to distrust us as we proclaim “we are here to help”. But to date, we have been all we say we are and each day our credibility grows and our partnership with the Learning Center gets stronger. “Friends of Copey” may not understand or fully appreciate from this end what it may be like for a rural community to come to the realization there is a group of people, scattered in different parts of the world, unseen and without political interests and monetary gain, only interested in the betterment of their children. I often ponder what this must feel like to these folks in Copey…how bizarre this must feel to them. It is beyond comprehension for me. We know there are worse conditions all over the world involving children that need support and help much greater than in Copey. We can hardly watch or listen to the news without learning of new horrific events involving children. Most of the time we hear about these events and feel we have little we can do to help. Many times we just lose sight of the problem. There are still 200 school girls missing in Nigeria and we no longer hear much about the children showing up at our borders in desperate need of help. There are reports of thousands of refugees including children dead or displaced at the hands of ISIS. By comparison, Copey seems very quiet and removed from such horror. But remember many of those children from Central America came from neighboring countries of Costa Rica and rural communities in all these countries have much in common when it comes to children. I hope you are feeling really connected with this project. It is unique and we cannot predict what the challenges will be in the future. The success we realize today can become the model other interested supporters may consider and want to duplicate in other Copey type communities. Everything starts from someplace. I hope you continue to take a couple of minutes each week to read my Post. I hope you read some of the older Posts and see how we have progressed and evolved over the months. If there is something more I can do to keep your interest, time, and support, please let me know. 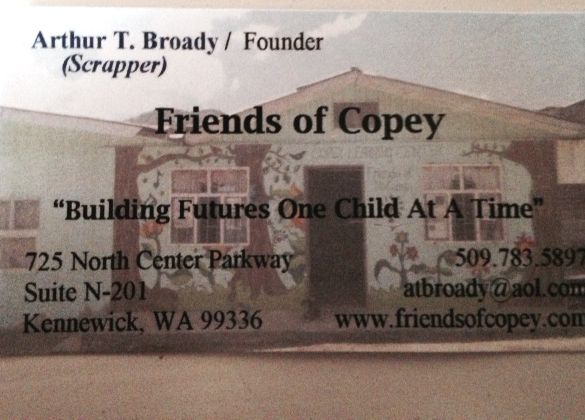 Each week, someone new is hearing for the first time my story about the Learning Center and the “Friends of Copey”. I confess it is a real challenge to share this story quickly and concisely. There is just simply a lot to tell. More than 40 Posts have been issued since the first one I wrote in December 2013. Almost each week new information is gathered and shared with more than a hundred followers known to be “Friends of Copey”. Interesting photos are included to help each one experience a glimpse of what I experience. I know at times I get sidetracked with some personal stories about my family. I trust this is not a major problem. I often get very positive feedback on my more personal Posts and am encouraged to continue sharing. Most certainly, I really enjoy hearing the news from the Learning Center. I feel both privileged and blessed to have family, friends, and even strangers to share this information with. Without each of you, there would be little need to have this Blog and share information about the wonderful kids attending the Learning Center. If you feel inclined to share this project with a friend or family member, how do you go about introducing the “Friends of Copey”? 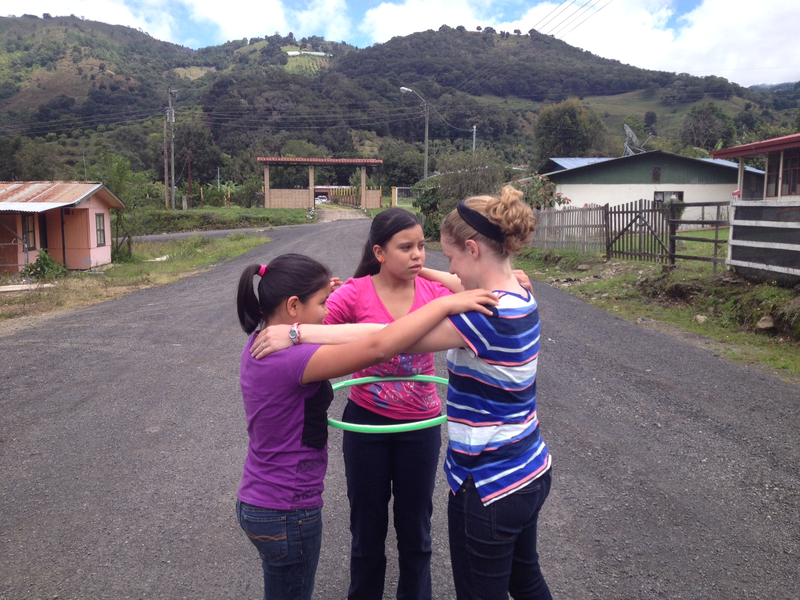 How do you let someone know how best to learn about our purpose and reasons for supporting this small rural town in Costa Rica? This all has become a rapidly growing challenge for me because I practically live with this each day of the week and very few people I meet escape hearing my story. It is difficult to stick with the reader’s digest version. I suspect you do not wake up each morning with “Friends of Copey” being one of the very first things you think of at sunrise or even before at times. I am certain when asked what are you doing now that you are retired with so much time on your hands, you do not say I am very involved with a project in Costa Rica. 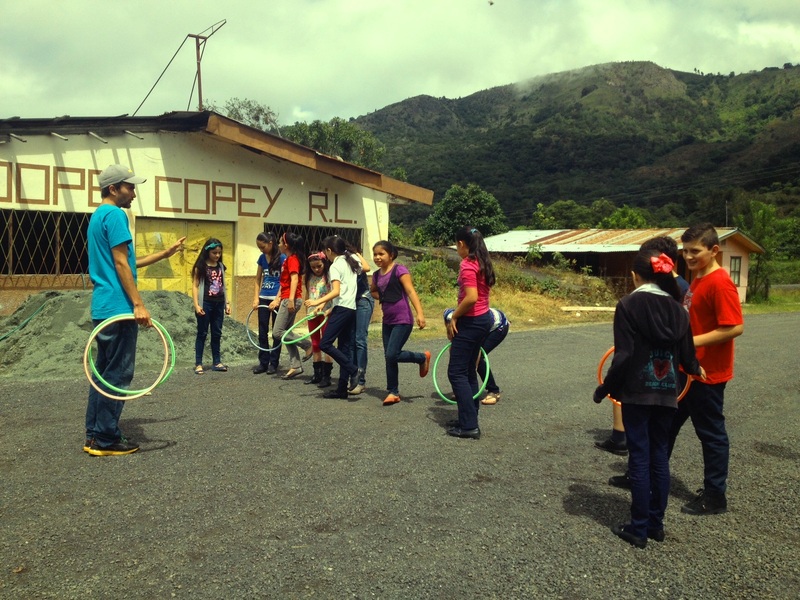 I am not really sure how it happened but I do wake up excited about Copey and I am quick to say that much of my time is spent on a project in Costa Rica. However, should you ever be inclined to share your involvement with “Friends of Copey”, here are some helpful hints that I hope will make it a little easier. 1. The Blog website is very easy to remember and share. http://www.friendsofcopey.com That pretty much says it…you are one of many “friends of this very small community called Copey” and everyone knows www. and .com! So simple it can be written on a napkin, a piece of paper, or just spoken…www.friendsofcopey.com. 2. I recently had about 250 business cards made for under $10. This was simple to do and has proven very valuable for helping me share the project with others. When there is little or no time to talk, I just hand out my card with my request to visit the website when time allows. Many of us already have business cards and only need to write the easy website address on the back to encourage someone to check it out. I am convinced the business card approach is so helpful and easy to share with others. In fact, I am so convinced business cards are helpful that I will have business cards made for the first five “Friends of Copey” who get in touch with me. You decide what you want on the card that is personal and I will have the cards made and delivered to you. This is a serious offer so do not hesitate to contact me at atbroady@aol.com. Also, I have found it beneficial to guide potential followers to a few specific Posts to learn about this project. I believe my second Post dated December 18, 2013 titled “Amazing…My Second Post”, the tabs “Frequently Asked Questions (FAQ)”, and “About the Author” all provide the easiest and quickest look at the reasons I started a “Friends of Copey” Blog. All the rest of the Posts simply fulfill the purpose of the Blog which is to engage followers and keep “friends” informed of the work being done at the Learning Center. Other favorite and frequently visited areas of the Blog include the Anne G. Broady Scholarship Fund and Mission Statement. I hope you will plan to stay involved and connected. This journey started with a very simple objective and to this point, the objective has continued to be the primary purpose. I thank you for helping keep the purpose alive and successful and I encourage you to share this experience with a family member or friend…even a stranger. I Do!! !